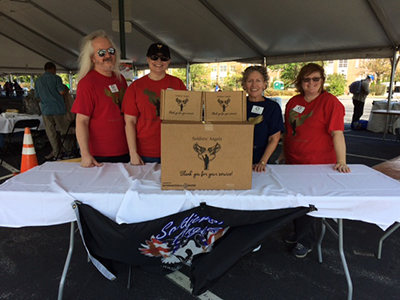 Soldiers' Angels volunteers across the country are working to reach homeless veterans at recent VA Stand Downs. 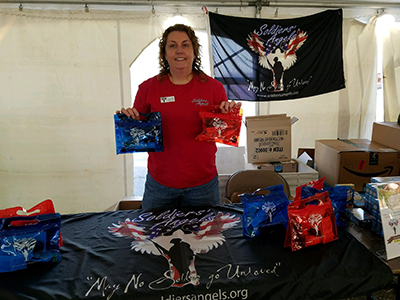 On Saturday, September 30th, Angels in Georgia participated in the Atlanta VA's Stand Down, "Operation Reveille," serving over 200 box lunches to attending veterans and also providing donations of clothing, blankets, and hot chocolate. Thursday, October 5th, volunteers in Detroit handed out hundreds of hygiene kits generously sponsored by Meemic Insurance.